Choosing a subject worth focusing on is almost as difficult as figuring out how to fold that subject. It’s a good time to be a Zelda fan too, because Nintendo just released a remastered version of my personal favorite installment of the series – Majora’s Mask. Without nerding out too hard here, I’ll just say for you non-gamers that one of this game’s many distinguishing features (along with an ever-ticking three day countdown until the moon crashes down and kills everyone) is a focus on masks, such as the titular one. 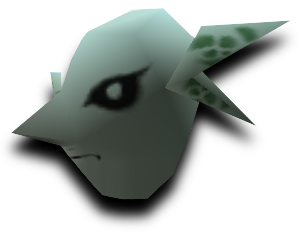 Three masks have particular significance in the game – the Deku Mask, the Goron Mask, and the Zora Mask. Each is named after one of the series’ recurring fantasy races – plant people, rock people, and water people respectively. Each of these masks will allow the player to transform into the corresponding race, complete with their own strengths, weaknesses, and abilities. It’s pretty awesome. 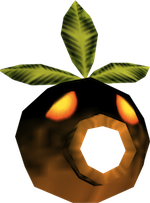 My plan is to design the hero in each of the three altered forms – Deku Link, Goron Link, and Zora Link. But first I decided to ease in by starting with the masks before doing the fully bodies they transform him into. My reasoning was twofold. The first, as I mentioned, was that they would be easier. 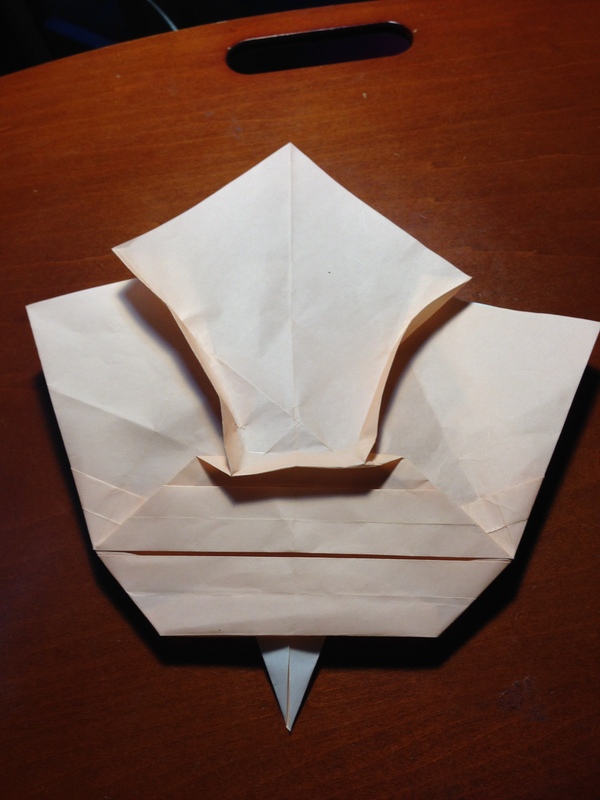 While I may be able to fold just about any instructions that have been written down, designing is a very different game, and one I have a lot of room to grow in. Secondly, I knew that the design tricks I come up with in the masks might be useful starting points when it comes time to go for the full bodies. 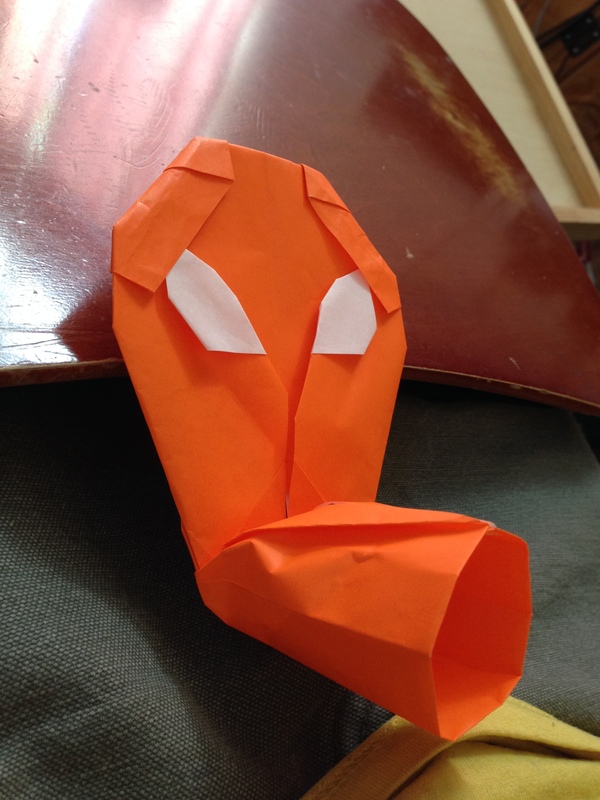 In theory, I should be able to essentially replicate the face in a smaller square section of the paper – like a corner – and use the remainder to build the body. 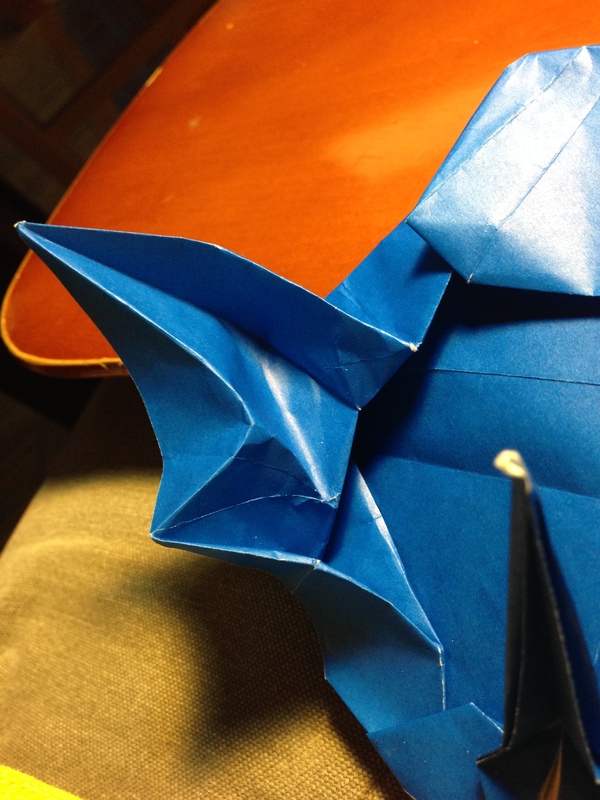 It won’t ACTUALLY be that easy, since I’ll have to deal with the fact that some areas will inevitably not work the same when the edges of the paper which once cut off into air will suddenly continue on and be connected to other paper. At the same time, though, it could actually work to my benefit. That same extra paper that it will be attached to might allow for more flaps to use for details. But that’s all down the line. So far I only have my first drafts of each of the three. They are very rough and have plenty of work to go, but I’d consider each a success in that I feel good about the key detail in each mask. Majora’s Mask was a beautiful game, but the tech was very limited by today’s standards and the masks had to rely on a few big pronounced details and their color to convey their subject, rather than the kind of high-definition renders possible today. So in these first drafts my goal was to capture those one or two defining forms on each mask. I tried to use appropriate-ish colors, but that was a very secondary concern at this stage. For this one my focus was on the tubular snout and the big sad eyes. I have some ideas for the leaves at the top but I decided to save those for round two. The snout is inspired by the technique used by Eduardo Santos to make a top hat on his piece Napoleon. I want to move the snout up a bit and round out the face more, and I think I can improve the eyes. Plus, as I mentioned, I have to get the three leaves in there too. But overall I think this draft shows a lot of potential. Despite being my favorite one to wear in-game, in m opinion the Goron Mask is the blandest looking of the set. It’s just kind of a… face. 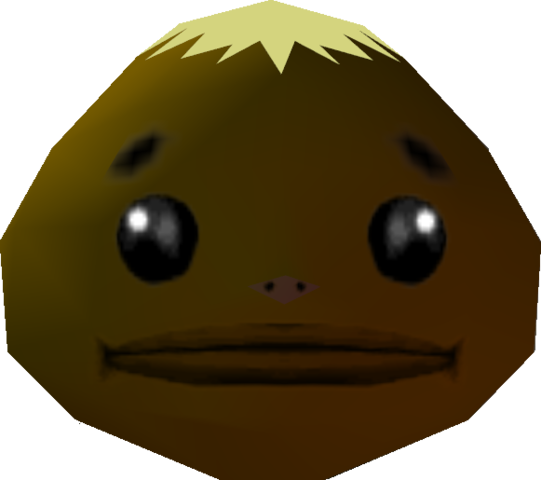 All that really stands out are the eyes and the mouth, which makes it basically look like a simple smiley-face only brown instead of the usual yellow and not smiling. 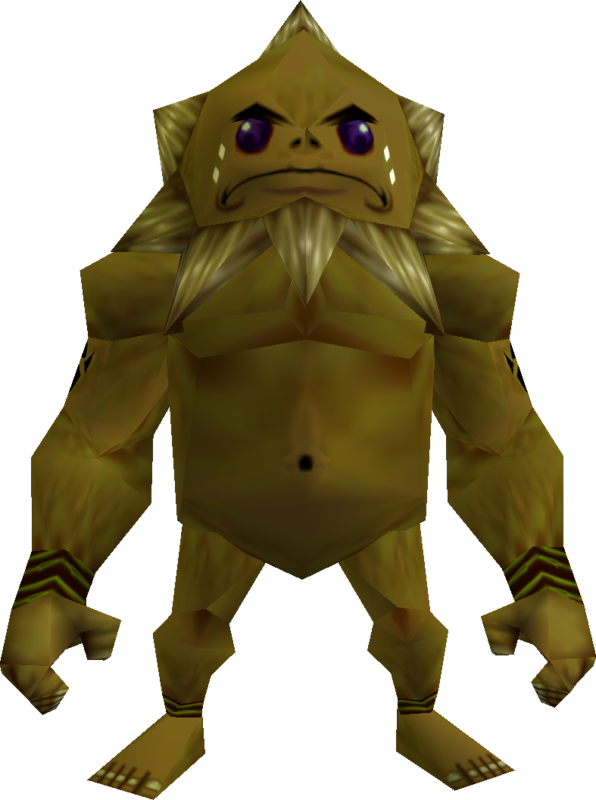 So I cheated a bit and went more for something evoking every Zelda fan’s favorite Goron: Darunia. I want to add more of that spiky hair to his chin and cheeks, but overall I’m ery pleased with the overall shape. I want to do more with the lips, but the groundwork is all there. My biggest concern is the eyes, since I’d like to use the back side of the paper to make the eyes a totally different color and the current setup doesn’t have any real options for that. But it’s a start. Finally we have the Zora Mask. For this one my focus was on the pointy nose and the distinctive double-spike ears. 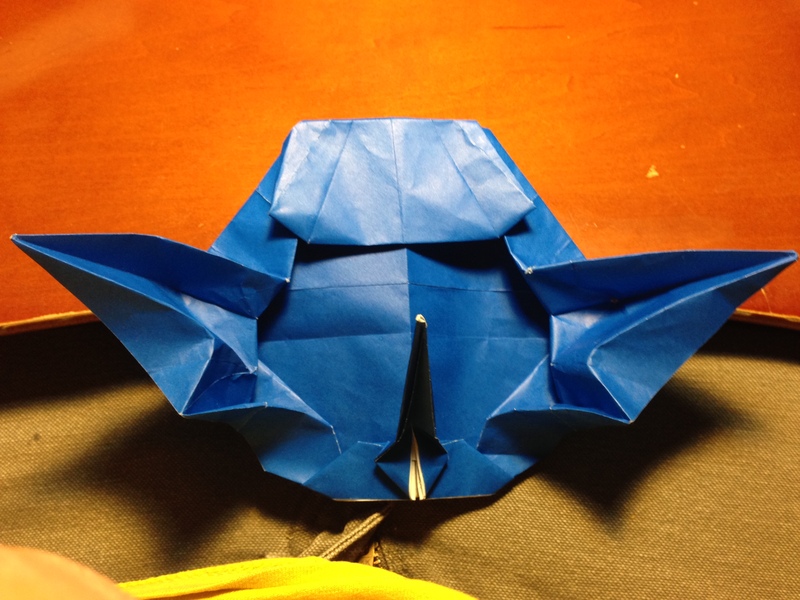 The key to origami is isolating points from a square, so I knew that those ears would be the key to this piece. The nose is way too skinny, and not quite long enough, but I think these ears are my favorite part of this whole exercise so far. I can probably find a way to have them less connected in the final, like they are in the original, but for their own sake as fantasy fish-people ears I think they’re awesome. The downside to trying to mimic source material is that there’s the pressure to replicate as exactly as possible. But there’s no reason I can’t make note of these little discoveries along the way and use them for my own unique creatures at some point down the line. 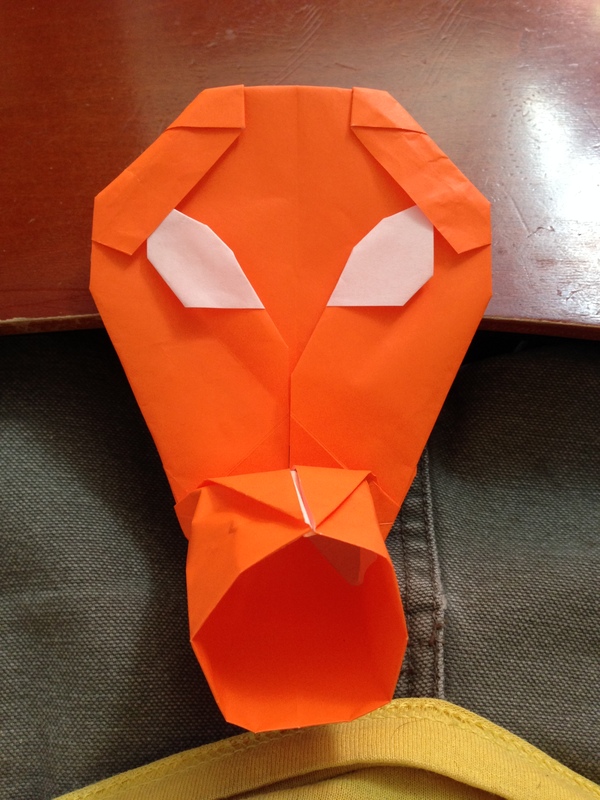 I also want to find a way to use the back side of the paper for the eyes here, but luckily unlike the Goron Mask I do have those flaps of paper on the forehead to work with. I just have to figure out how to utilize them.